I am taking a short break from Dear Jane, to work on Marigold's quilt. It is called Modern Farmhouse and was in th February 2018 issue of American Patchwork and Quilting. It is a simple pattern of half square triangles and squares. I made the blocks a bit smaller to finish at 8" instead of 12". 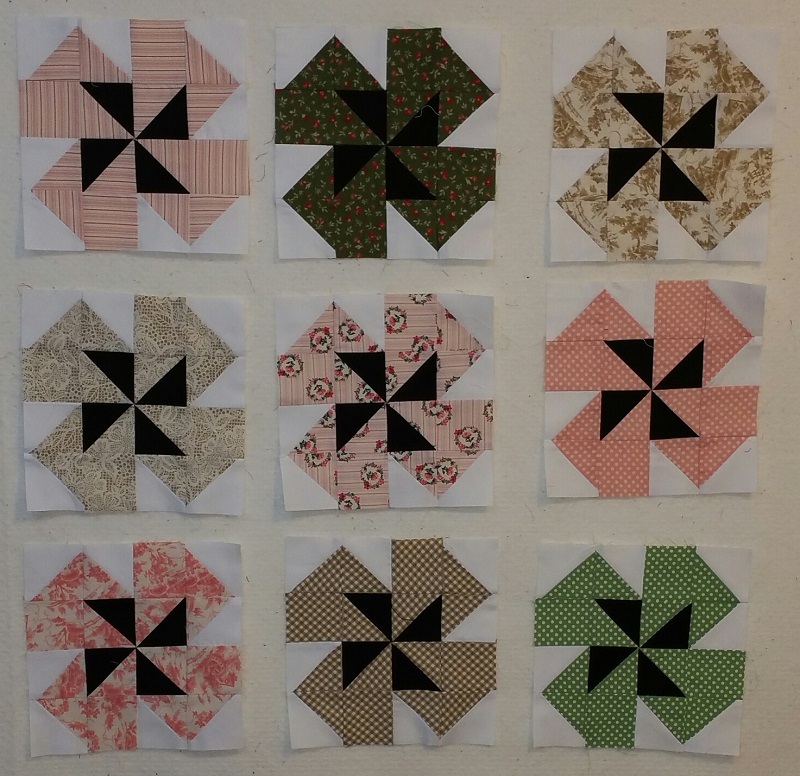 Nine blocks are complete with 6 more cut out and ready to sew this week. Check back later this week to check on my progress! Have a great week!